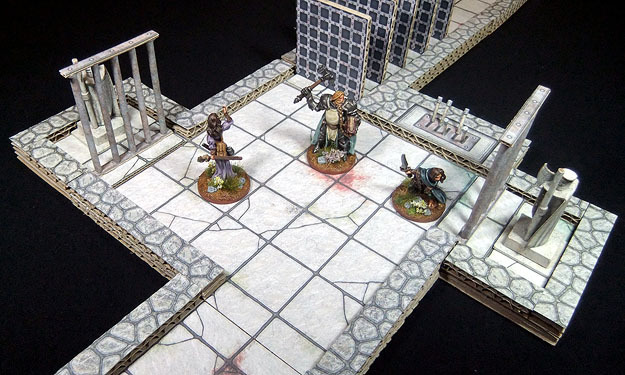 Each of the encounters in this series can be slotted into an existing (dungeon based) adventure -OR- used with other 'rooms' from this range (or other DMsG products) to save you time when designing a dungeon from scratch. Tips on how to build quick and easy terrain for the encounter (links are provided to other pay-what-you-want products by the author, along with accompanying YouTube tutorials). A (50 pixel per square) map of the room for use with virtual tabletops. An upscaled version of the above map that can be used as an impromptu battlemap. Note that this (single room) dungeon encounter is a suitable challenge for a level one/two party of four adventurers.